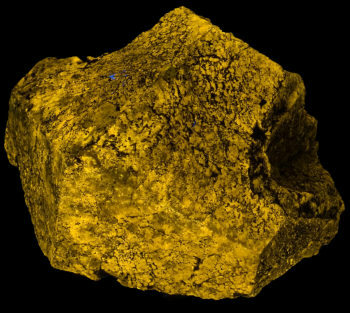 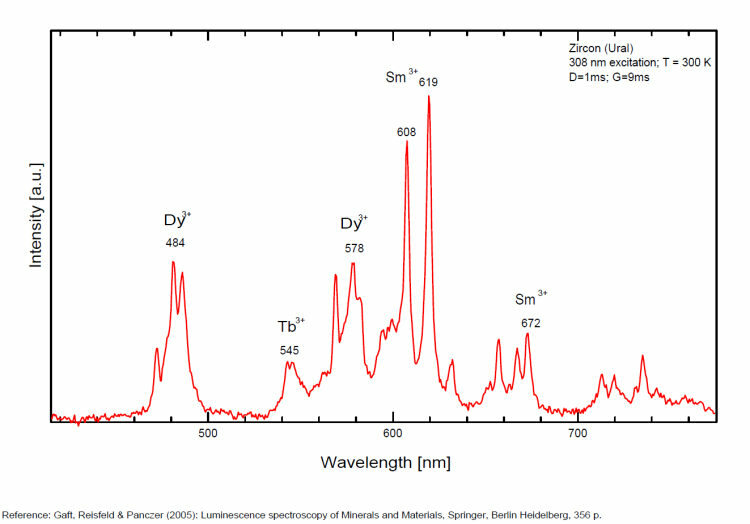 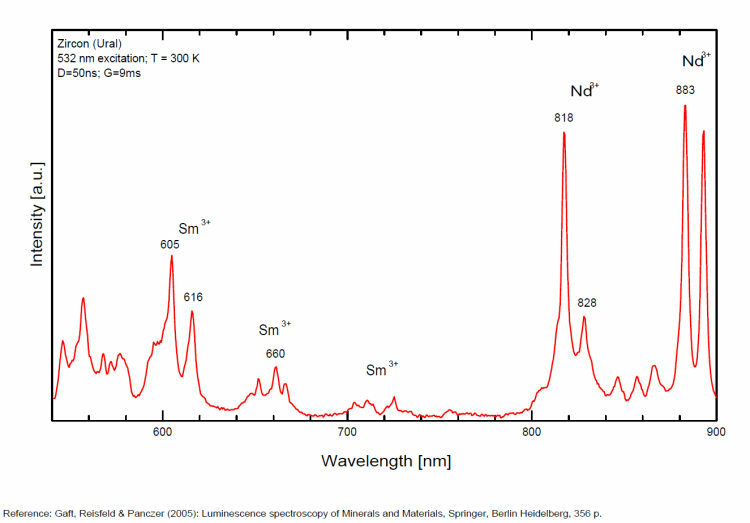 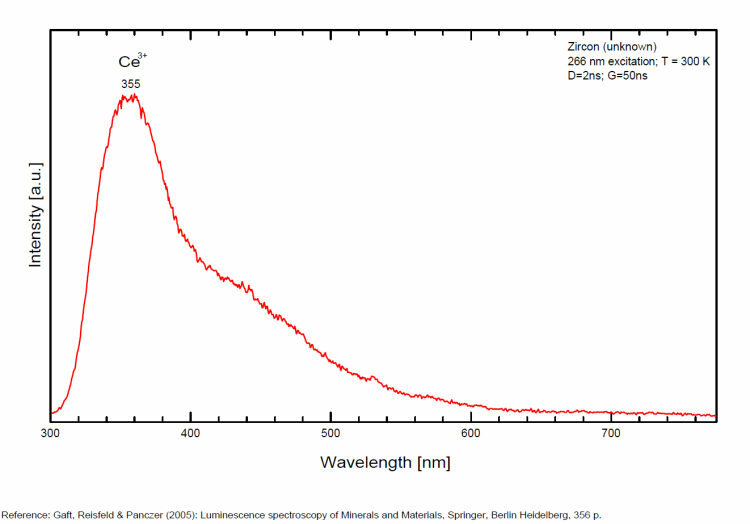 The yellow band with peak wavelength (λmax) = 575 nm, peak half-width (Δ) = 120–130 nm, and decay time (τ) = 30–35 µs is connected with neutron and alpha irradiation. 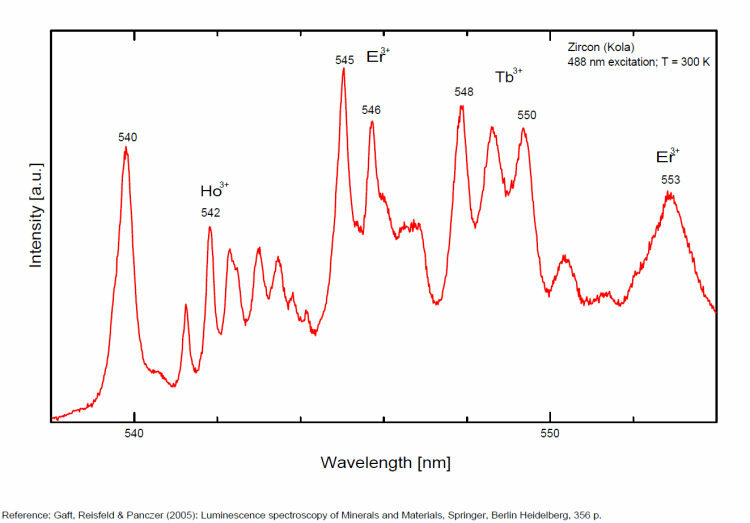 Activators: broadband emission from radiation induced centers and lines from Dy3+ (Trofimov in Gaft) masking other lines from REE in Zr4+ site. 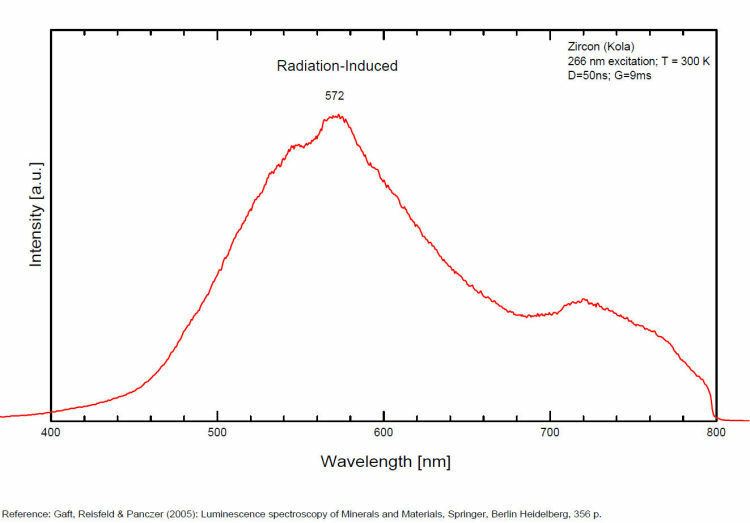 The intensity of the broadband luminescence quickly decrease after heating at 700-800° while the lines from REE stay constant (Shinno in Gaft).